Peggy is the kind of woman you read about in books, but rarely meet. She is strong, responsible and quick with a laugh. She is what your grandmother would have called, "the salt of the earth." At 85, she has the keen mind and energy of someone decades younger. When others might be content to sit on their porch and watch the world go by, Peggy remains an active part of it-volunteering at several senior centers each week and singing in the choir. In 1958, Peggy was 26 years old and newly married to her husband, Bob. Soon their family grew as they welcomed a baby boy. It should have been a picture-perfect Norman Rockwell moment-it wasn't. Within three years, she lost Bob to kidney disease and was left alone to care for her young son. Determined to make a better life for herself and her son, she found a job working at a bank. "When I came home, I would have a drink. I found that I was looking forward to that drink." Soon her drinking began to spiral out of control forcing her to quit her job and move into her parents' home. While trying to keep it together during the day, at night Peggy would sneak out of the house and walk the streets in the dark and pray for a car to hit and kill her. She sought help to deal with her drinking from doctors, hospitals, and psychiatric hospitals, but nothing seemed to work. "I did take shock treatments. That is how desperate I was to stop drinking." Twenty-four hours later, she was staying at Casa and listening to a speaker. "Our speaker said that she had been sober for ten years. I thought 'ten years! I can't even get ten hours some days,"' Peggy continued. Then their speaker said something that changed Peggy's life. "She said it was a disease and I felt this weight come off me. I knew I was going to be okay. I said to myself, 'thank you, God."' 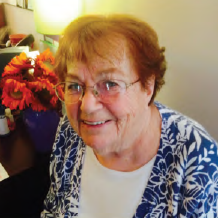 Peggy remained at Casa for 30 days, but stayed connected to the people and programs for decades. "We went to meetings. Sometimes people would drop in and just talk. We talked about our emotions. Sometimes we talked privately or in a group. I didn't have anyone to talk to who could understand what I was going through before Casa. That was 49 years ago, and Peggy is still going strong. 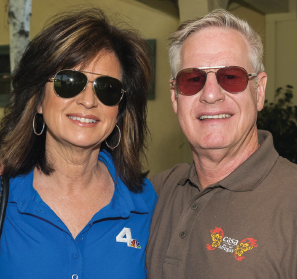 She has a lovely home in San Gabriel and friends and family that love her. 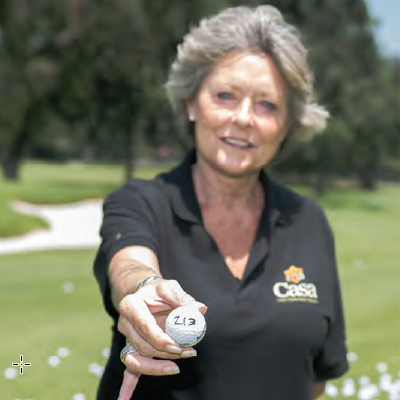 Of course, she will always be an important part of the Casa family. "Can you see what Casa did? Look at this house! I own it outright. I didn't have anything when I went to Casa. I can't believe these people came and they didn't want anything. They just wanted to help." Katie, from all outward appearances, had the perfect life. She had a good and hard-working husband, a happy marriage and four wonderful children. Nothing meant more to her than her children and family, but she hid a dark secret – she was wracked with severe depression and was self-medicating with alcohol after suffering a still-birth in the spring of 2013. Shortly after the loss, Katie was pregnant again and she focused on family and stayed far away from alcohol. After the birth of her fourth healthy baby, she just didn’t have the tools to deal with her grief and depression and soon as the new baby was weaned, she started drinking heavily. She knew she had to try to keep it a secret, but that turned out to be impossible. Her family immediately closed ranks and staged an intervention. Katie was so full of remorse, guilt and concern for her family that she agreed to enter treatment at Casa. Katie stayed in Residential Treatment at Casa for 30 days and spent another 60 days in Sober Living where she received daily therapy and counseling . “I’ve never been in therapy. Never dealt with my dad’s alcoholism (he has been in recovery for 11 years), but I came to realize that I had been depressed since I was a teenager. In my family mental illness was not something that was discussed. At Casa talking with professionals and dealing with my mental health was okay.” She and her husband attended Family Group therapy and he began to understand what she was going through. After high school she started “using everything.” She heard a lot about Meth from her brother and his friends and she “loved it” before she tried it. “I wanted to love it.” That was just the beginning. Leslie had three children while using meth and just about everything else. She stole to get money for drugs and spent time in jail for possession and theft. Eventually, her children were taken by Child Protective Services (CPS) and placed with her mother and a family friend. There were many times when Leslie was determined to quit, but she just couldn’t do it on her own. She wanted to be a good mother and get her kids and life back. “I knew I would never stop unless I got help.” After her last stint in jail, she begged her health insurance company to send her to residential treatment and she was sent to Casa. Carmen started finishing off her mother’s beer when she was just 5 years old. “Mom was a party-girl” who worked hard Monday-Friday and then played hard all weekend. By the time Carmen was a teen she was drinking heavily and taking drugs. She would continue this downward cycle for almost 25 more years. By the time she hit bottom, she had been living on the streets for 8 years and was freebasing crack cocaine and drinking daily. Things slowly started to change for Carmen in the most remarkable of places - jail. Someone had slipped a bible into her cell and as she read it she realized she wanted to be different. Her struggle for sobriety wasn’t easy. One day when she had a breaking pointing and was ready to walk out of treatment, a staff member hugged her and held her saying, “I don’t think you really want to leave.” Carmen didn’t want to leave. 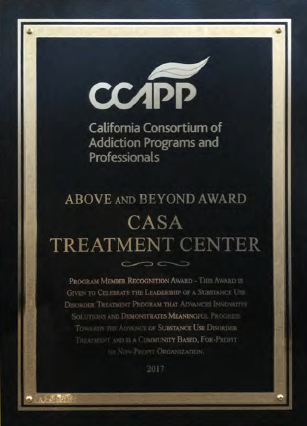 She completed her 90 day Residential Treatment and then spent another year at Casa in Sober Living. Carmen has been sober for 20 years. Today she has a wonderful life and family and is about to begin a credentialing program to become an alcohol and drug counselor. Her story of survival and redemption is truly inspirational.